With these past words said I will let you folks know I am honored to announce the great people of “RockonColorado.com” have invited me to supply CD reviews for all the amazing talent here in Colorado. Now please know I am a fair man and some might even say an accidentally righteous man, so please avoid gathering an army of undead Samuri soldiers to lynch me in the valleys of your chosen sun and rip my good sometimes tax paying American skull from the non-yellow spine of my PBR drinking body if you do not agree with my fair opinion. There will be bonus points for songs that are just out of this world or hidden factors that will be brought to the surface. Same goes in the negative manner for super bad songs or other variables. Full details available at www.ApexVibe.com . As well you can Google or Youtube them and find them all over. 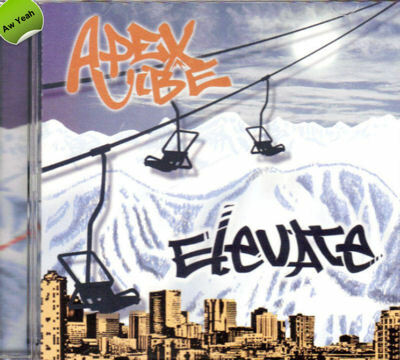 Apex Vibe has been rockin’ Colorado for many years and have recently released a much anticipated CD that is for hopefully worthy of the shelves of your collection. Song writing and Sound Marketability is very strong. I have had the honor of seeing this group live and they know how to control a crowd and keep em jumping and this CD is a great representation of that. Right from the start they hook you with “Set it Right”. Although this is an older song of theirs they added the funky sound of DJ Unison and beefed it up right. The highway sounds are perfect. You can easily see yourself driving across the country and pumping this CD over and over. It wouldn’t be to hard to pick up a couple of beautiful American girls along the way with the modern reggae/funk taste. A commonly loved sound. This is the hardest part of my review, but it is also the most important. Originality is a very hard thing in music and especially in this genre of music. It is very easy to get into that comfortable realm of reggae strumming and singing. It all sounds good and usually really good, but after listening to ten reggae/ska bands over and over you will here many similarities. Apex again does a good job of changing up their sound, but the fact remains the same it’s a hard genre to sound different in. “Let it Ride” is almost an exact 311 sound. If it’s a cover I apologize, but it for sure sounds like it should be. Also “Makin’ Love” has that electronic voice that makes me wanna drive my truck off the highway into a fiery disaster. I for sure recommend this CD to any and all Colorado fans and I assure if you are a reggae/ska/rock fan you will immediately fall in love. As well their live sets are always well worth the showing so keep your eyes peeled for them. 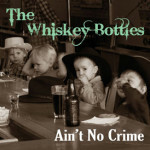 As I end my written ramble of musical written jamboree I again thank the amazing folks of “RockOnColorado.com”. They are such an amazing outfit that has been a HUGE supporter of Colorado Music for a longtime. Their timeless pictures will be just that. 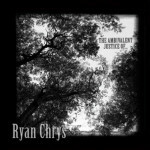 Ryan Chrys – The Ambivalent Justice of….